This past week was a normal week with highs and lows, moments worth remembering and moments worth forgetting. And having lived almost a half century, I have finally figured out some things. Life consists of a few really spectacular events like the day I graduated from college, the day I got married, and the day my daughter was born. It also consists of a few really horrific events like the day my first husband died, the day my best friend died, the day my father died, and the day I was in an automobile accident. But the really important events, the events that define my life, are the many moments in between. The every day moments, that while possibly not extraordinary, are the ones that give me opportunity to choose joy and see beauty in God's creation. The good moments that bring a smile to my face along with the bad moments that I can allow to ruin my day or I can decide to face with a positive outlook. Joyful and beautiful moments like birds visiting our feeders, making art on a cookie canvas, weeding the garden and enjoying the flowers, and Easter with my family. And bad moments like the fact that Easter Sunday was the fourth anniversary of my father's trip to heaven. But as I mentioned before, I had a choice. A choice to either wallow in my sorry and loss or a choice to remember the multitude of wonderful memories I have from the years I was able to spend with my father. I chose to remember. And it never ceases to amaze me how often I pick a random book out of my stack from the library and it coincides with something that has gone on in my week. 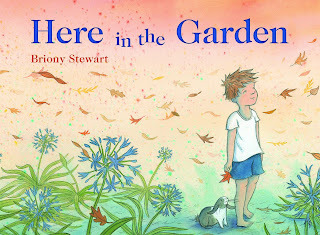 This week's random book was called Here in the Garden and it was the story of a boy choosing to remember the beautiful moments he once shared with a pet rabbit. And although the rabbit was missed beyond measure, the boy chose joy. He chose to think of all the wonderful days they had been able to share. This past week was a whirl of activity as we prepared for Grandparents Day. One of the things I love about homeschooling through our former private school's Independent Studies group is the special events we still are able to participate in. 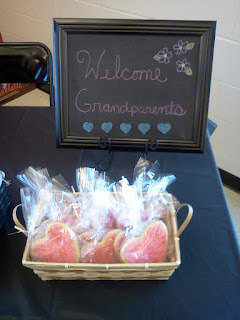 And this year, I was asked if I would be willing to host a hospitality table with coffee and treats for the grands attending. 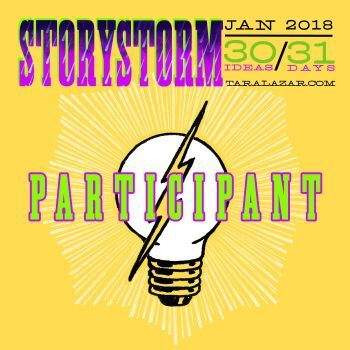 For those of you who know me well, you know that I adore baking (more then eating), throwing a party of any kind, crafting, and sharing it all with others. So, this was a perfect opportunity to do just that. 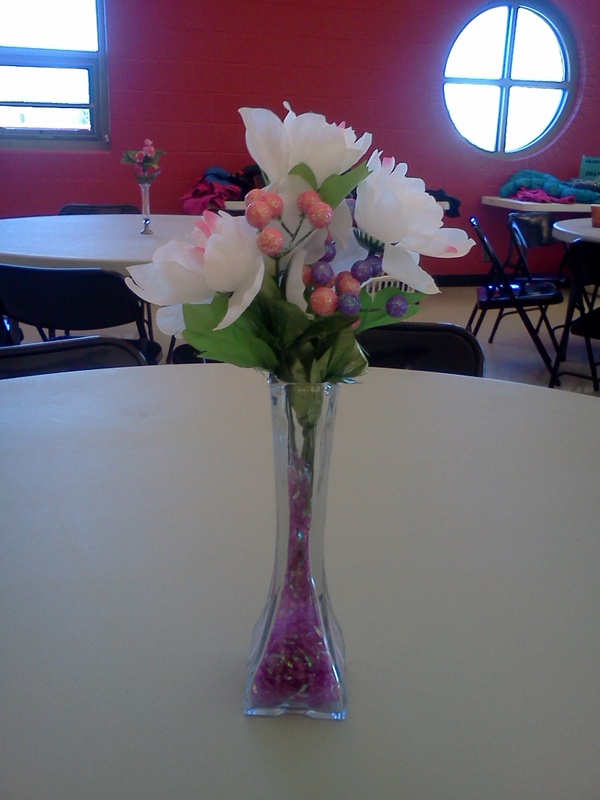 Emily helped me make some flower filled vase table center pieces. We used leftover Easter grass to cover the stems of the faux flowers. 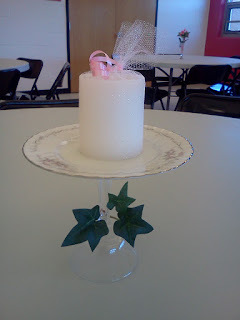 I also made some candle centerpieces from thirty cent plates and goblets I purchased at the thrift store and glued together with my handy dandy E6000 craft glue. That, along with a little left over ivy from a previous project, a little curling ribbon, some Dollar Tree candles, and some clearance netting from Wal-mart rounded out the project. Wouldn't these be adorable for a wedding? 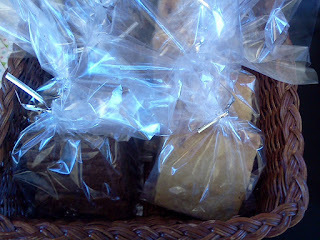 And of course there were the treats. Iced oatmeal cookies, brownies, scotchies, and iced sugar cookies. Not to mention my homemade chalkboard sign. Chalkboard paint works beautifully on the glass in picture frames. After all the schooling, crafting, and baking of the week, it was nice to relax over the weekend. Well, after the grocery shopping and laundry. And since this week we are on spring break, I just might get some writing in before starting on my preparations for Easter. And speaking of Easter, what would a book review at this time of year be without some great Easter book recommendations? 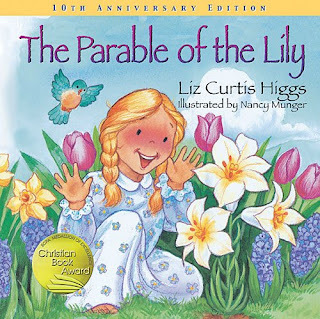 One of my all time favorite Easter books is the Parabel of the Lily. Young Maggie loves getting gifts. but when her father gives her a flower bulb, she is very disappointed. That all changes when she goes outside on Easter Day and finds a beautiful Lily. The story of the true meaning of Easter shines through in this beautifully illustrated tale. 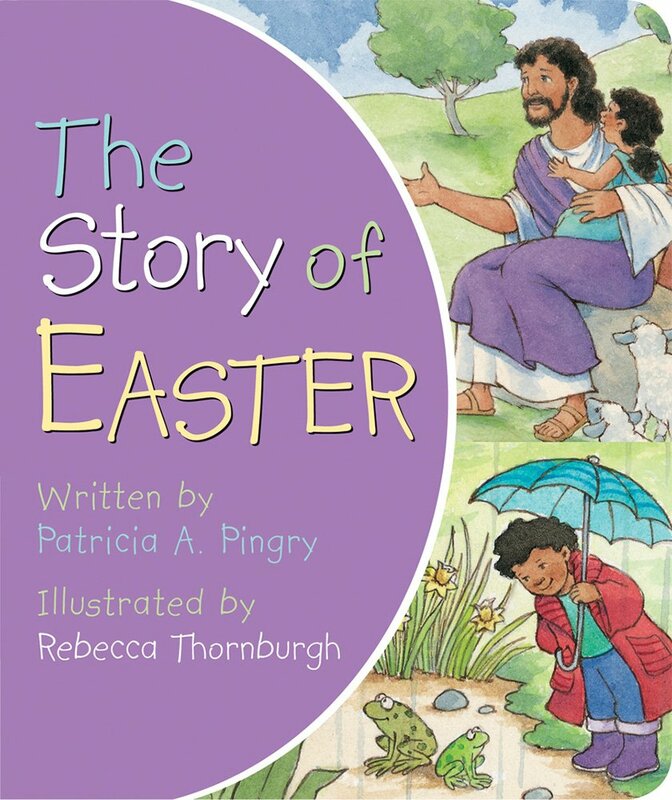 Another great Easter book is The Story of Easter by Patricia A. Pingry. 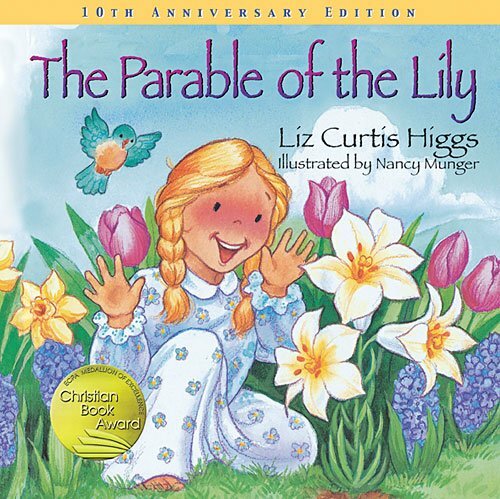 This book is the Biblical story of Easter written for small children to understand and is as wonderful as all her other books such as The Story of Christmas which Emily read aloud every Christmas for several years. 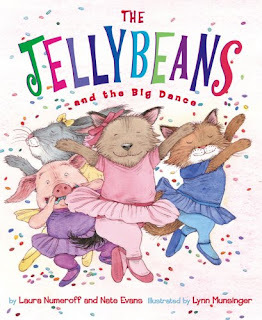 Finally, I am fond of The Jelly Beans and The Big Dance. At first I thought it would be a book about Easter with jelly beans being so prominent in the title, but it was actually a lovely book about friendship. 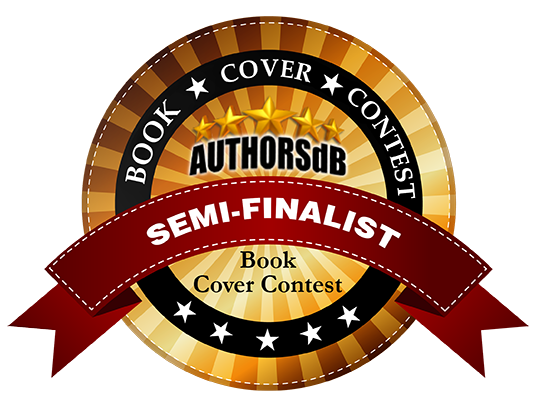 To be more precise, it was a book about totally different individuals who felt that they will be unlikely to be friends until they discovered something they had in common. You guessed it, they all loved jelly beans. And lest I forget, the recipe here is the recipe for my iced oatmeal cookies which are a delicious addition to any cookie repertoire. Preheat oven to 350 degrees. Line two cookie sheets with parchment paper and set aside. Put oats in food processor and pulse until coarse. Mix oats, flour, baking powder, soda, salt, cinnamon, and nutmeg in a bowl. In a stand mixer, cream butter and sugars until smooth. Add eggs one at a time and finally vanilla. Mix in dry ingredients. Roll dough into two tablespoon size balls and place about two inches apart. This will be about six on a tray. Bake one tray at a time for ten minutes. Cool for five minutes before removing to a cooling rack. When completely cool, mix glaze and place a spoonful on the cookie. 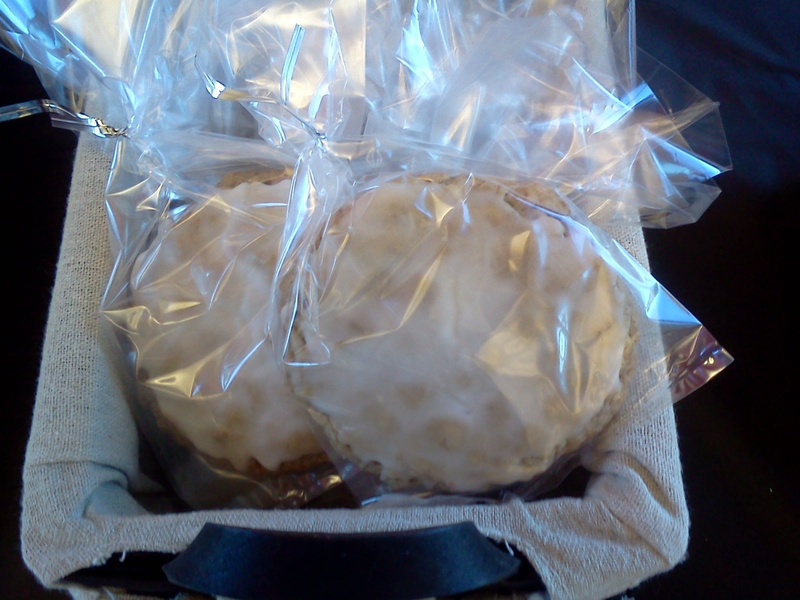 Spread with your finger and place back on rack to dry for at least two hours before placing in an airtight container. Well, that about wraps it up for this week. Join me next week for another exciting episode, same crazy time, same crazy channel. Be sure to drop by and join the Literacy Musings Monday Blog Hop that I joined as well where you will find other great blogs, or my personal website, Fun With Aileen, where you will find more on reading, writing, and my very own early grade Fern Valley chapter book series and my Quack and Daisy picture book series. I'm also on twitter @AileenWStewart if you want an extremely brief glimpse into my days. This past week I felt a bit under the weather, but Emily still wanted to attend Cook Book Club on Tuesday. So, we called our friends to see if they would pick her up and drop her off. But I must admit, I was sad and pleased at the same time as she worked in the kitchen by herself preparing some applesauce doughnut muffins for her breakfast themed item. I was happy that she is turning into a confident and capable baker, but I was also a bit sad to think how quickly she is growing up. We rounded out the week by attending the Maple Syrup Festival at Malabar Farm State Park. I found it really interesting to see how they currently produce maple syrup, but also how the Native Americans and the pioneers went about doing so. The Native Americans hollowed out a log in which they placed the sap. To evaporate the water, they added stones that had been heated in the fire. The pioneers perfected the making of maple syrup a bit by cooking it in large cast iron kettles over the fire. But no matter the method, the outcome is the same__delicious! We also had the chance to explore Louis Bromfield's former home as it was open for free self guided tours that day. I always adore the opportunity to explore new things and new places. And it goes without saying that I adore exploring all sorts of new books as well. 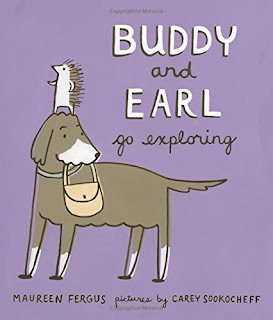 Buddy and Earl have my same love of exploration. 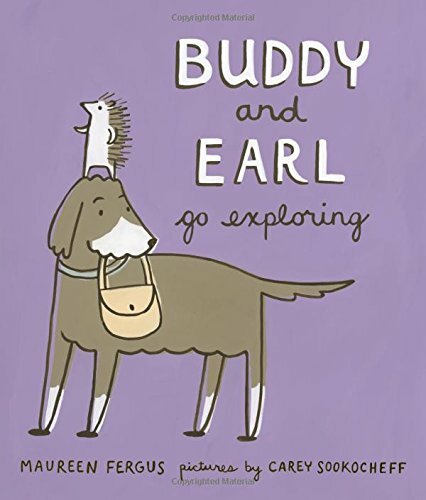 They also have quite the imagination as they explore their very own kitchen where they take a dip in a shiny blue lake, rescue a hedgehog girlfriend for Earl, and have a snack of meatloaf. Kids four to ten will love this story. Well, that about wraps it up for this week. Join me for another exciting episode, same crazy time, same crazy channel. 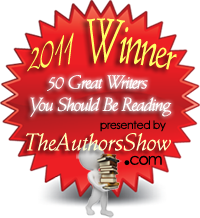 Drop by the Literacy Musings Monday blog hop where you will find other great literary blogs. And feel free to drop by my personal website, Fun With Aileen, any day of the week for even more on reading, writing, my very own early grade chapter book, Fern Valley, the sequels, Return To Fern Valley, and Cooking In Fern Valley, along with my very first picture book, Quack and Daisy! I'm also on twitter @AileenWStewart if you want an extremely brief glimpse into my days. This past week I had two school visits scheduled, I had lunch and recess duty on Friday for Emily's twice monthly Mansfield Christian school visits, and I was recruited to decorate a table for Mansfield Christian's Annual Flamin' Hot Breakfast which is the yearly fund raiser for the Independent Studies Program we home school through. My first event of the week was an evening of reading to pre-k students at the local pre-k in my home town. 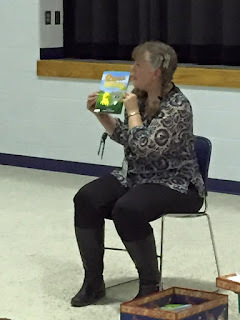 After I read from my book, Quack and Daisy, I checked out all the centers they had set up for the children. It was fun to see the extra large versions of books by authors and illustrators I am friends with. 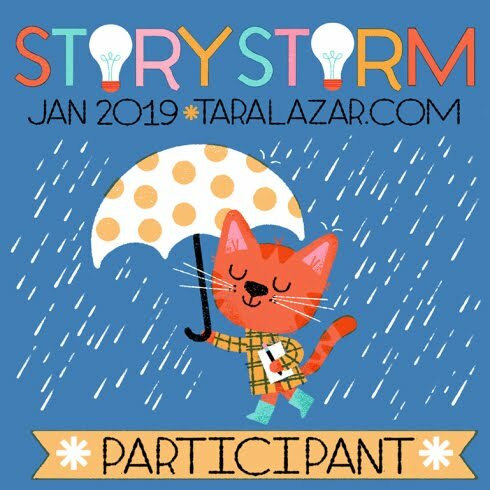 Authors and illustrators like Karma Wilson, Jane Yolan, Tomie dePaola, and Mark Teague. My second event was an all day visit to the Western Reserve Elementary School where I presented to children in kindergarten through sixth grade. 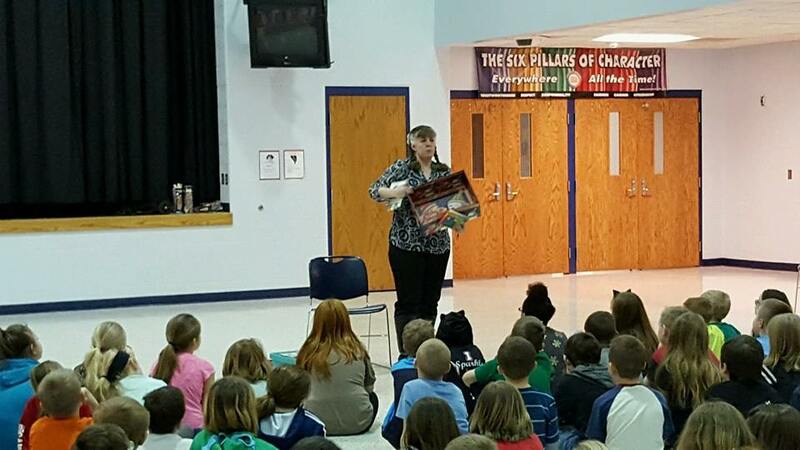 All the children were attentive, asked great questions, and participated when I asked questions. 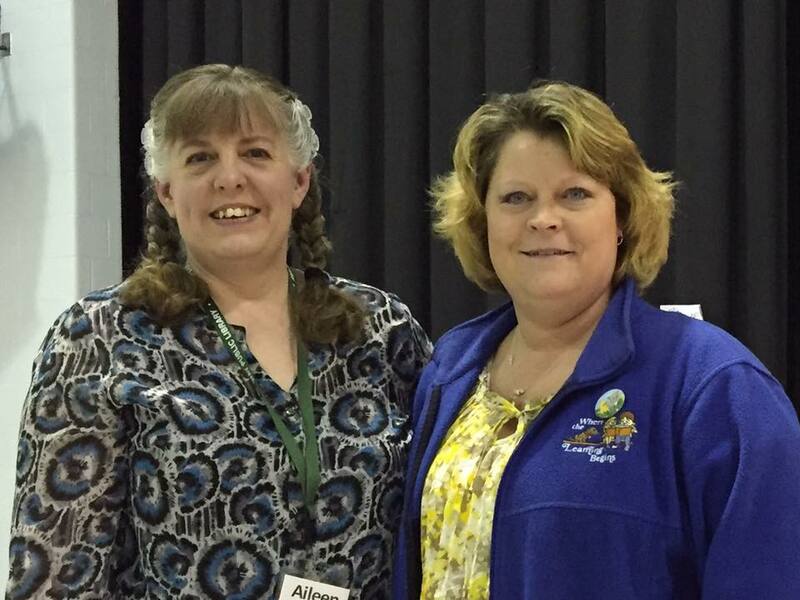 I was also able to spend time with the school's librarian and my long time friend Mrs. Cindy Linder. 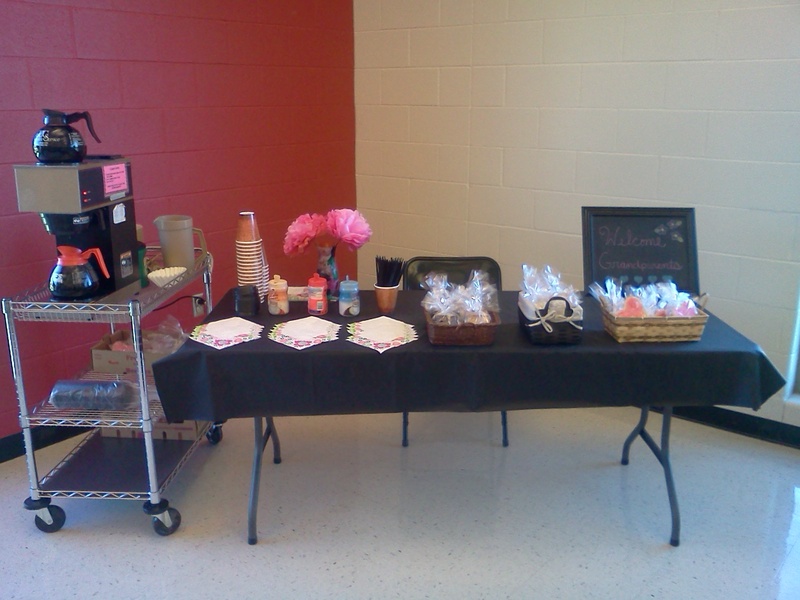 But the big surprise of the day was What I Saw in the Teachers' Lounge. Actually it was what I saw in the science room which was doubling as a much larger teachers lounge,but since that is the title of the first book I read for review this week I thought I would go with that. Oh yes, what did I see? A beautiful pot luck lunch set up in honor of my visit. There were soups, and veggies, baked potatoes and toppings, veggie pizza, and chocolate cake and cupcakes. 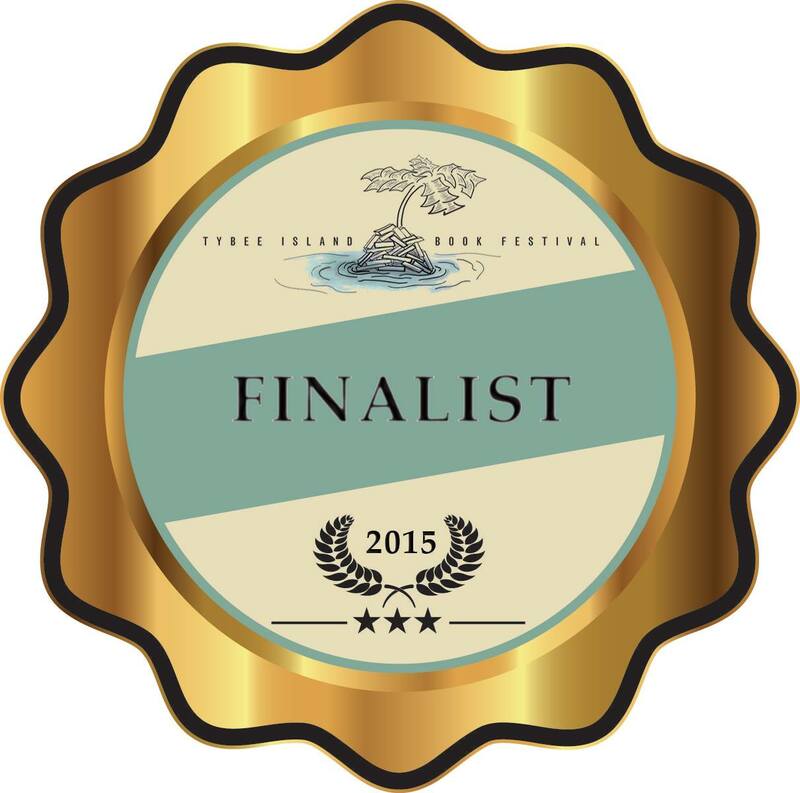 I was really touched by the thoughtfulness of the staff and hope I conveyed properly how much it was appreciated. Recess duty on Friday at MCS was interesting since a two hour delay caused it to be held on the very small music room, the only room available at the time. Try to imagine fifth grade boys jump roping, fifth grade girls hoola hooping, and another set of fifth grade boys throwing a ball as they played Monkey in the Middle next to a group of children laying on the floor playing checkers. Needless to say I had to move once or twice to keep from being trampled or pummeled, and I could have used a pair of earplugs as well; but I survived and was able to decorate a table as requested with a basket centerpiece reflecting the farm market that I manage in the summer. Saturday rounded off the busy week with me taking Emily to the Flamin' Hot Breakfast where she volunteered to bus tables. Her and several other home school children also went across the street to a local nursing home to sing for the residents. And of course there were those books I read. You remember, the first one was called, What I Saw In The Teachers' Lounge. It was a funny book about a little boy and his wild imagination. Every day he would walk by the teachers lounge and wonder what in the world was going on in there. 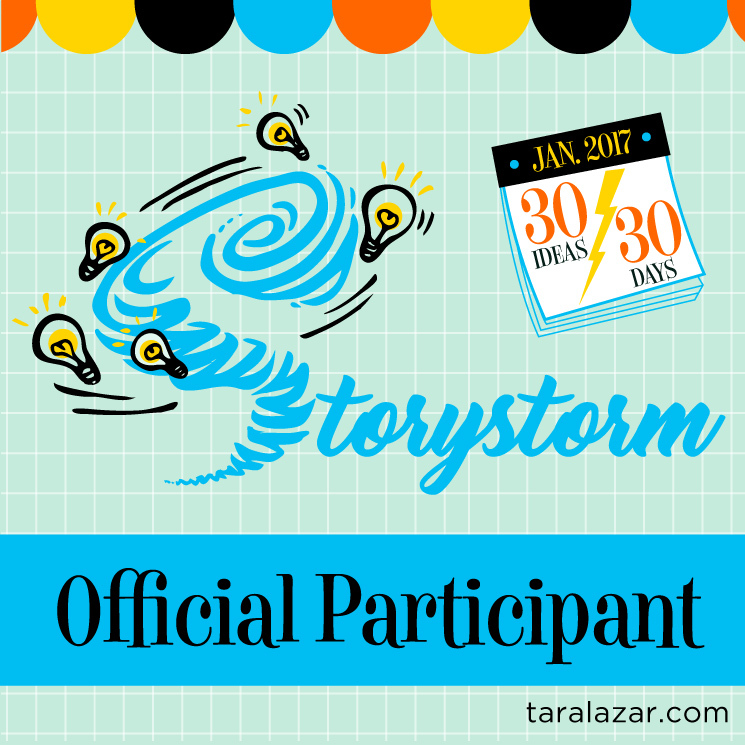 One day he stopped to peek in the slightly opened door, and to his utter surprise, he saw teachers doing the most amazing things. 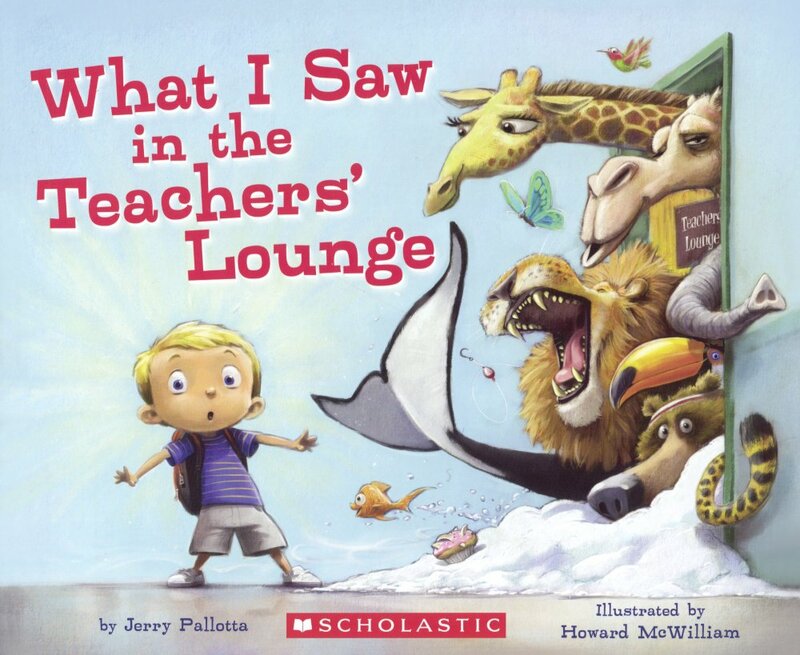 Of course when he told his class mates about what he saw they had a peek too, but all they saw were teachers eating their lunches in a perfectly normal manner. Not daunted in the least by his classmates version of events or by the principal sending him back to class, the young boy dreamed of becoming a teacher when he grew up. 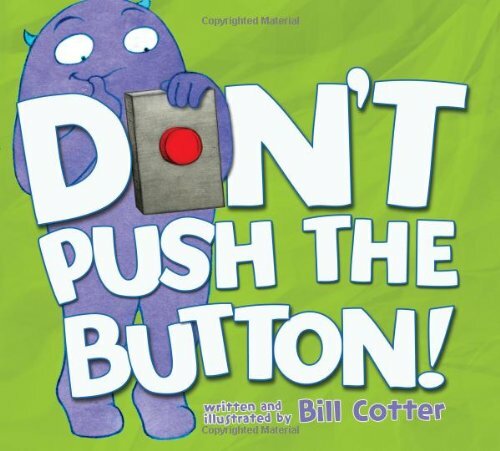 The second book I read was called Don't Push The Button. This book featuring Larry the monster is adorable and encourages kids to participate as the story goes along. Perfect for the four to eight set, this book is short but fun.